Last week we discussed the importance of hiring an SEO company to handle your online web presence. However, not all SEO companies are the same. And many people we talk to have been burned by bad SEO companies in the past. At Roofing Webmasters we believe in a high level of integrity and provide proper SEO services. But if you believe you are working with a bad SEO company, talk to us today. The following are five red flags of a bad SEO company. These are the signs to watch out for when you are looking to sign up for SEO services. Instead, an SEO company should provide you with a detailed plan of the goals they have for your business. We provide free consultations for potential clients and through our analysis of their web presence we create a plan of action. This will look different for different companies as there is no one size fits all for SEO. If an SEO company promises to provide you with hundreds of new inbound links overnight, run the other way. Google will catch these bad links and you will be left with a useless domain name. 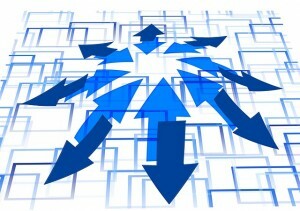 Many SEO companies take on a large number of similar clients and then recycle their content. Make sure the SEO company you use provides only unique, authoritative content that is crafted specifically for your company. A great way to test this is to check one of their client’s website pages and blog posts against Copyscape (a website that can catch copied content). If they are providing duplicated content for their clients, you do not want to use their services. 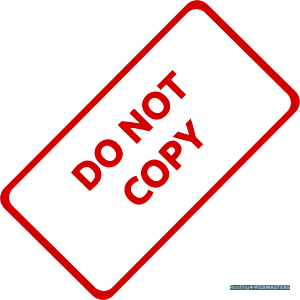 Google is smart enough to catch copied content and will rank your site lower because of this. At Roofing Webmasters we have a team of professional writers who are dedicated to creating well written, unique content for every single client. When you are talking to an SEO company you may potentially employ, ask for a portfolio of their current clients. If they refuse to provide you with this information or will only speak in vague terms about their current clients, be wary of using their services. A company who provides high quality, honest SEO services will want to showcase their work. But a company who provides bad SEO will not want you to see their current clients’ sites. Is the SEO company you are in negotiation with asking for a long term contract? If so, think twice before signing the dotted line. We allow our clients to stay with us on a month to month basis. That is because we know the results we provide ensure you will want to remain with us for many years to come. But a bad SEO company will require long term agreements to ensure they do not lose their clients. Once someone realizes the work being performed is shoddy, the only thing to keep them there is a long term contract. Talk to us today about the ways we can provide high quality SEO services for your roofing company. And please keep these five red flags of a bad SEO company in mind as you look for help with internet marketing.